Keystone specializes in serving comfort-style fare, made fresh daily, from local ingredients when possible. 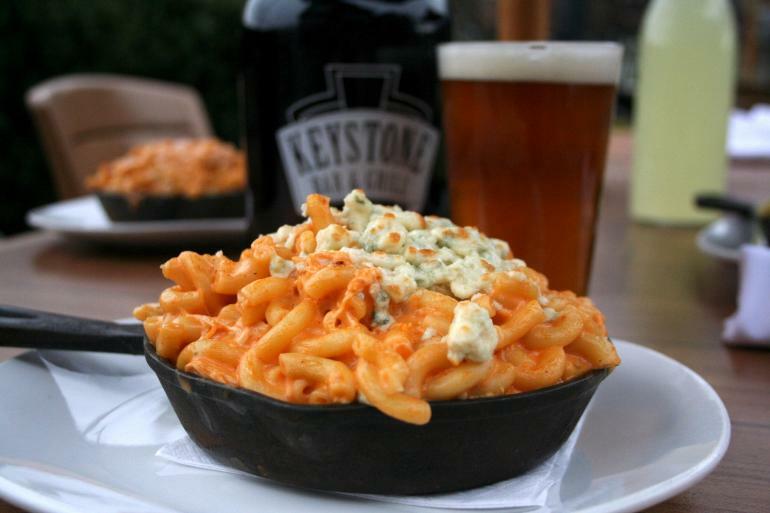 In addition to an extensive menu, Keystone also specializes in craft and import beers, with over 80 different selections.The two Keystone locations share the same menus for lunch, dinner and brunch and have similar draft beer and bar options. They also include the same daily food specials such as Mac and Cheese Monday (half-price mac all day) and Quesadilla Tuesday (half-price quesadillas all day).